The FLEX series glass wall panels fits the needs of an evolving business and culture. 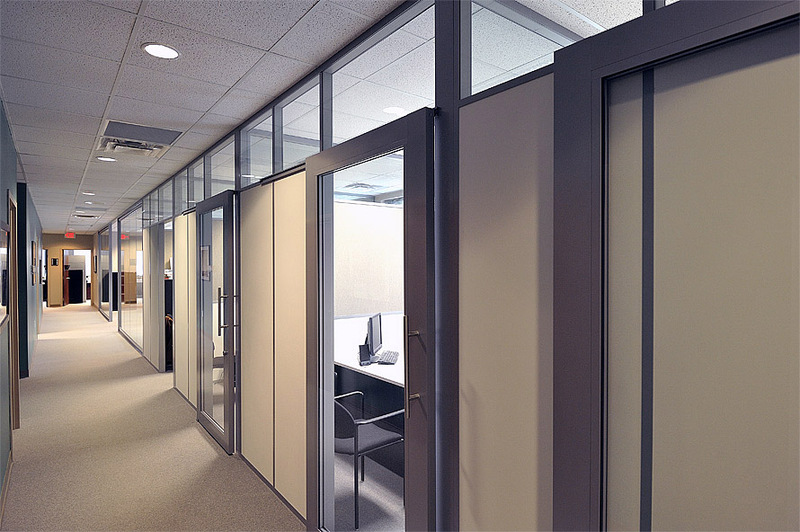 Viny wrapped gypsum panels are embedded into the aluminum partition systems, offering STC 43 acoustic rating to reduce office volume. 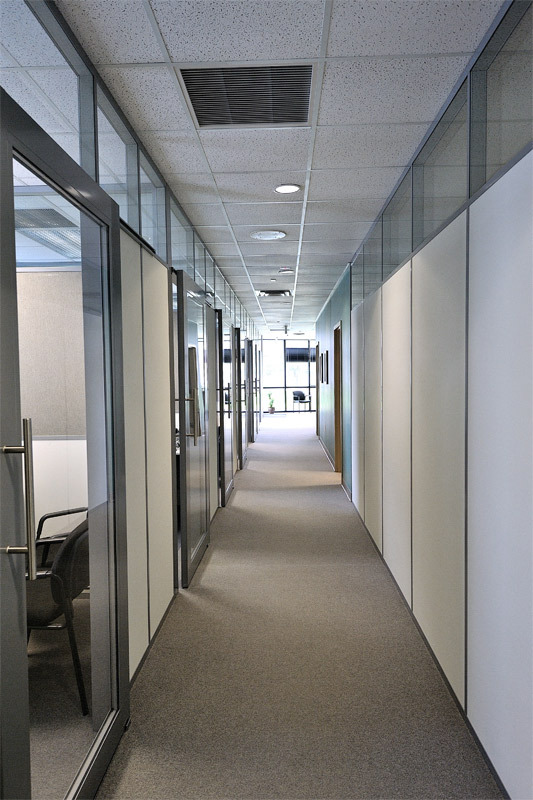 The wall system is re-configurable to accommodate changing needs. 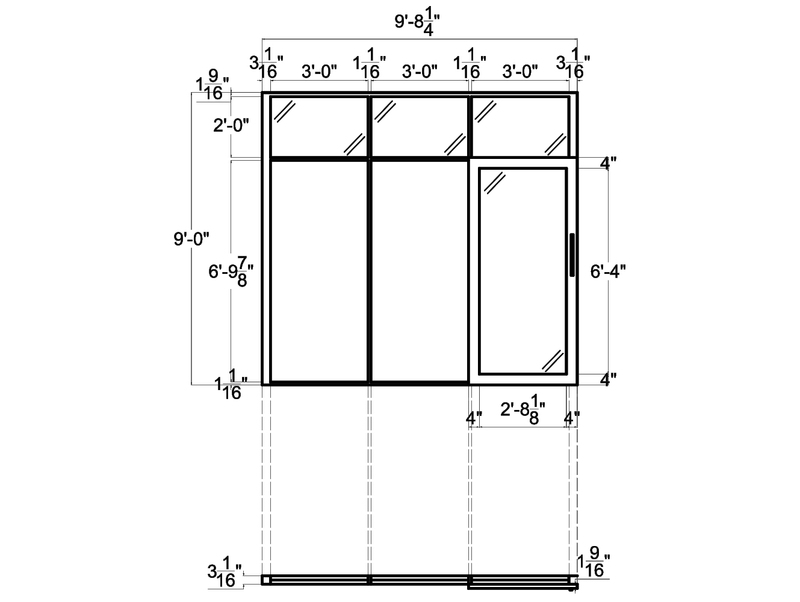 The vinyl panel can be switched to clear or tempered glass, laminate or wood panels.